Share More Targeted Content, Faster. inboundli helps to find, optimize and distribute the most relevant third-party content on key marketing channels. Effectively mix third-party with in-house resources to grow the volume of quality of content on social media, newsletters and blogs. This integration requires both inboundli and HubSpot. Learn more. Fully automate content sourcing, optimization and distribution to social media. 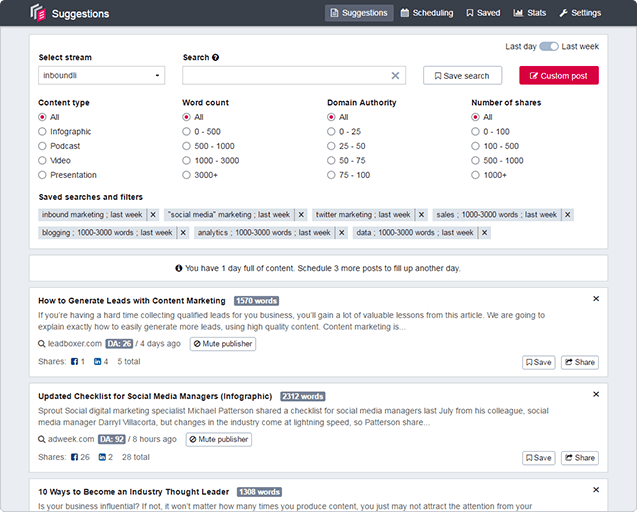 Whether third-party or in-house content, inboundli helps you to get more engagement with social posts. 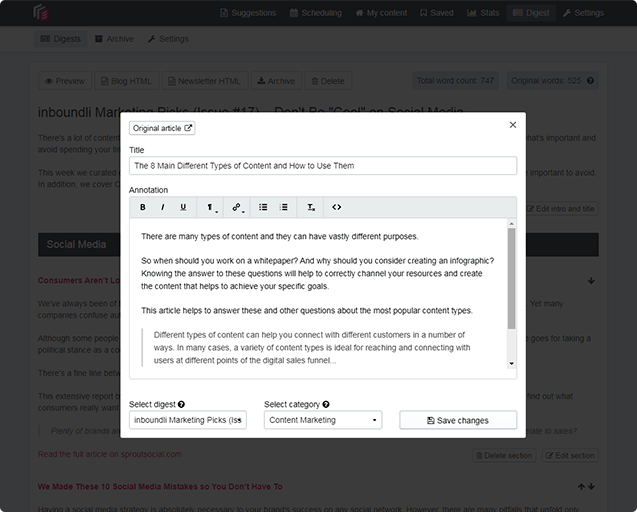 Mix third-party content with your own to publish more content on your blog and deliver more newsletters. Keep your audience consistently engaged across multiple marketing channels. 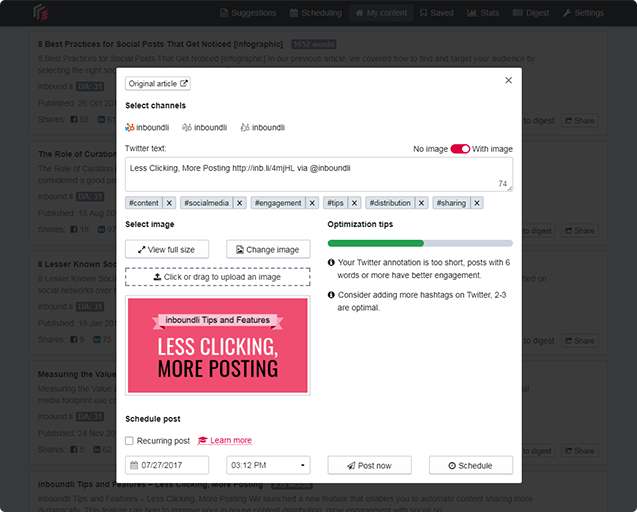 This integration helps busy marketers publish more content to supercharge their HubSpot campaigns.